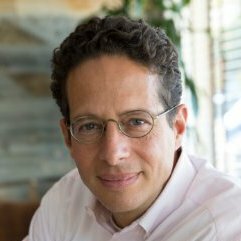 EquityZen is continuing its Q&A series with Ben Narasin of Canvas Ventures. You can catch the previous edition covering the state of private markets at the end of Q1 of this year with 500Startups’ Dave McClure. Here at EquityZen, we closely follow private markets and help shed light on opportunities available at various points of the market cycle. You can follow us on Twitter @EquityZen for more real time updates. Ben is a seasoned entrepreneur and prolific early stage investor. He took one of his earlier ventures public in 1999, and since has focused on identifying and investing in early stage companies both, as an angel as well as an institutional investor, first with Triple Point Ventures and now as General Partner at Canvas Ventures. Public and private equity markets in technology and digital healthcare have enjoyed a strong bull run over the past several years. However, with virtually no IPOs in the first half of 2016, they have been seemingly getting stuck in what seems like a limbo over the past six months. So, I spoke with Ben towards the end of June to discuss private markets, specifically the venture capital and growth equity kind, and asked him to help lift the fog, and share ways to find opportunities amidst the haze. A synopsis of our discussion follows. Atish M Davda: What is going on over the past six to nine months? How has the temperature changed across the industry? Ben Narasin: It feels like there are a lot of gray clouds of Winter in California, but the sun is still shining in New York and Europe. It is barely Fall in New York, and I’m hearing there are IPOs in Australia. Winter is not equally distributed and that is a source of opportunity. AMD: I was just there last month, and it didn’t feel that cold. Is it really winter in Silicon Valley? BN: Certainly, there are folks screaming “flat is the new up” and “if it isn’t perfect, it isn’t getting funded.” In some ways, it is a return to the way venture capital used to be. Good companies don’t get funded. Great companies may get funded. Phenomenal companies get funded. AMD: So the funding environment has changed for entrepreneurs. What about for the fund managers themselves? We have seen some of the biggest fund raising activity from VCs and growth equity firms in the past year. BN: It’s certainly true that traditional managers have raced to market ahead of schedule to line up capital before people put away their checkbooks. If you assume it takes roughly three years to deploy a traditional fund, a lot of firms were going out just two years out. But, just because money was raised doesn’t mean it is available for investment. There is still plenty of dry powder from existing funds, so the newly raised capital will sit on the side lines waiting for the current fund to finish investing. AMD: That doesn’t jive with VCs slowing down their investing activity. What gives? BN: Well, many people think this winter will last a while. Others think things will go back to the way things were later this year. At the end of the day, VC is a long term game and VCs make money from carry, not management fees. This means that while some will remain conservative, a lot of managers will have money burning a hole in their pockets and they will begin investing again. AMD: Given the way investment returns work in VC, will fund managers keep adding companies to their portfolio or keep investing in their current portfolio? BN: I think you’re referring to how VC returns follow the power law, and that is reflected in how managers have made their money. If you think about a VC as a nurturing animal and their portfolio companies as cubs, most investors will save their milk, that is capital, to keep their existing children from perishing. AMD: Do all of the cubs get milk? BN: Not everyone’s chances are equal, but these cubs’ chances are better than those currently not part of the litter. There is a flight to quality and the process will be Darwinian. VCs may not back every company, but they’ll also get out of the way if the entrepreneur is creative and can sustain the business without additional capital or by raising outside capital. So, here’s the beauty of it: when it’s harder to fundraise, the strongest entrepreneurs become stronger. AMD: Does this mean companies that have sound businesses will find funding even in these circumstances? AMD: Those who raise capital demonstrate an even stronger signal now than in the past? AMD: With companies needing to mature more before tapping public markets, what role do you see private secondary markets play in the ecosystem? EquityZen’s platform has seen activity jump due to the rationalization in the market. BN: Anytime liquidity can be tied with transparency, it’s great for the ecosystem. Secondary markets are going to be really important moving forward. It’s a really powerful and important thing right now and will be for a while. AMD: We’ve talked a lot about investors; what advice do you have for existing shareholders (preferred and common holders)? BN: This is a long-term game. Make the best long-term decision. Shareholders in private companies should remember that private companies deserve a discount, not a premium! My kind gratitude to Ben Narasin for taking time to share his thoughts on private markets. Canvas Ventures is the classic boutique venture firm. Four partners, all stars from Morganthaler, NEA and the like. They focus on Series A and B investments. Have questions related to venture investing? Ask in the comments below or tweet us @EquityZen.